Craig was on telly and he's got you all very excited. Ah, what a difference a few minutes on the sofa with Phil and Holly can make. 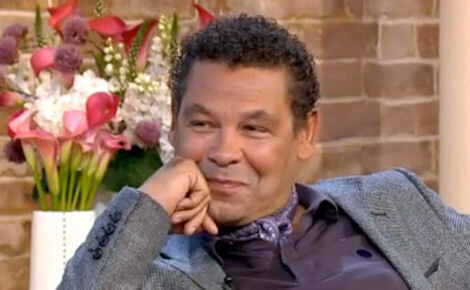 On the morning of Tuesday, September 6th you were content in the simple knowledge that Red Dwarf Series X was being developed... but then Craig Charles appeared on This Morning and everyone started pinging off the ceiling. "Everyone is back on board and they are building the sets now at Shepperton," the Lister actor announced. Well, half of that's absolutely true. In an Canute-esque attempt to hold back a tidal-wave of internet chatter, we'd just like to say: sets are not currently being built, and the details of the show's format are yet to be locked-down or announced. 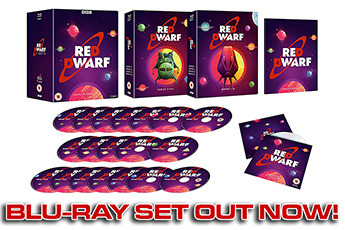 The lovely channel who have taken Red Dwarf on, Dave, have announced to buyers that they will be "bringing Red Dwarf X back to your screens in 2012. A massive hit for Dave two years ago when it premiered with 2.7m, the show goes into production at the end of the year, ratings will be even higher and fans even happier." The series will feature Rimmer, Lister, Cat and Kryten, once again played by Chris Barrie, Craig Charles, Danny John-Jules and Robert Llewellyn. There will be six episodes in the series. 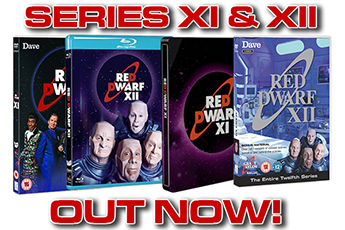 The numbering of 'Series X' being both a pretty good promotional title for the channel, and technically correct since Back to Earth was a 'ninth series'. Shooting will take place this coming November, December and January, with broadcast likely slated for September 2012. That apparent delay is born of common sense - after its complex post-production, Red Dwarf X would be ready to broadcast in the summer, but that's a time of low audiences. An autumn launch will make the very most of Dave's new commission. And that's it. Everything else is speculation, optimism or a point of discussion. As ever, the rule is: when you hear big news from an official source, then it's time to get excited. 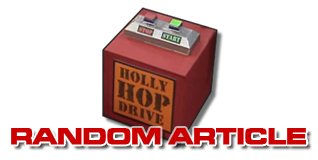 Discuss the future of Red Dwarf on our Forum.